The ‘spoooookiest’ month of the year is approaching, what have you got planned other than dress up parties, trick or treating and pumpkin carving? If you want to do something unique then you are in for a treat. 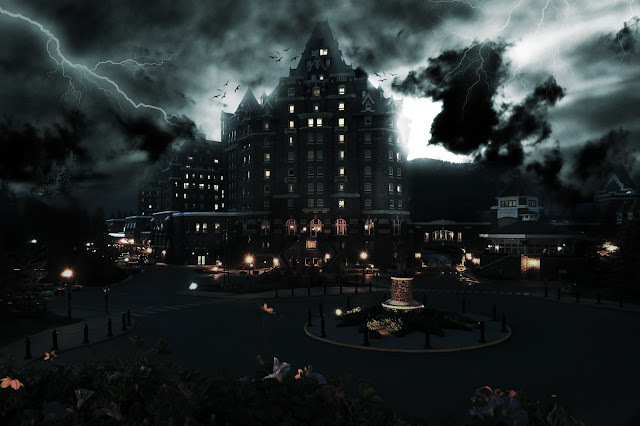 The historic Fairmont Banff Springs Hotel will be hosting the most grand, and perhaps the most eerie, Halloween event you will experience in Banff. Legend has it that many souls have wandered through the doors of the Banff Springs Hotel in search of rest and relaxation and few of those souls are still inside this ‘castle’ to this day. On October 21st, 22nd, 28th and 29th, The Banff Springs Hotel is inviting their guests to a family-friendly Halloween Heritage Ghost Tour to learn about the truth behind the spooky rumors before spending the night there. If you decide to come on the 29th, you are also there just in time for Haunted Halloween Gala presented by 98.5 VIRGIN Radio. This is your opportunity to dressed in your most scariest outfit at the amazing multi-rooms Halloween party filled with food, drinks, live entertainment and many more surprises! Make sure to follow me on Instagram @Binzento and Snapchat @TheRealBinzento, I’ll be giving you some of my coolest Halloween costume ideas in the following weeks to come! So stay tuned! Don't miss this chance and make sure to BOO-K your rooms early!! Follow this link for more details! I called it my interactive beverage California’s Apothic is one of my wine selections when it comes to hosting dinner parties or events. Perhaps it’s my obsession of full-bodied flavor, Apothic’s red and white fit the profile of sweetness that I crave, once in a while. The name Apothic, comes from “Apotheca”, a mysterious place where wine was blended and stored in 13th century in Europe. Apothic’s wine maker Debbie Juergenson uses only the most distinctive California grapes to create the unique style and taste. 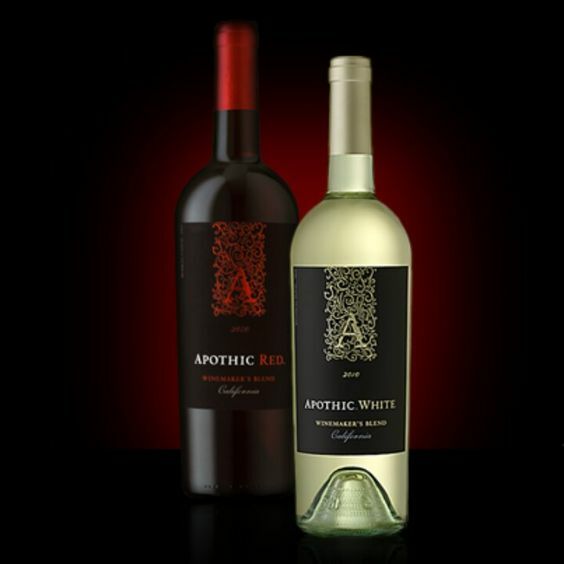 I like Apothic red paired at a BBQ or roast party, and white at a casual family dinner serving a seafood extravaganza. Trust me when I say Apothic is an interactive beverage. 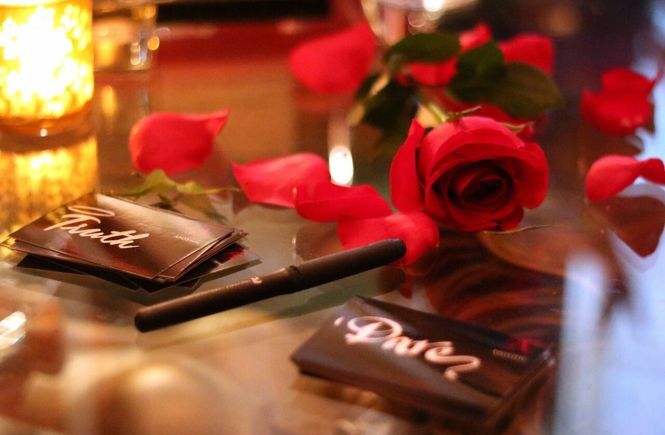 Their Truth Or Dare (white or red) campaign comes together as a card game kit – Challenge your guests at the party to share their secrets or perform hidden talents that could amaze everyone. 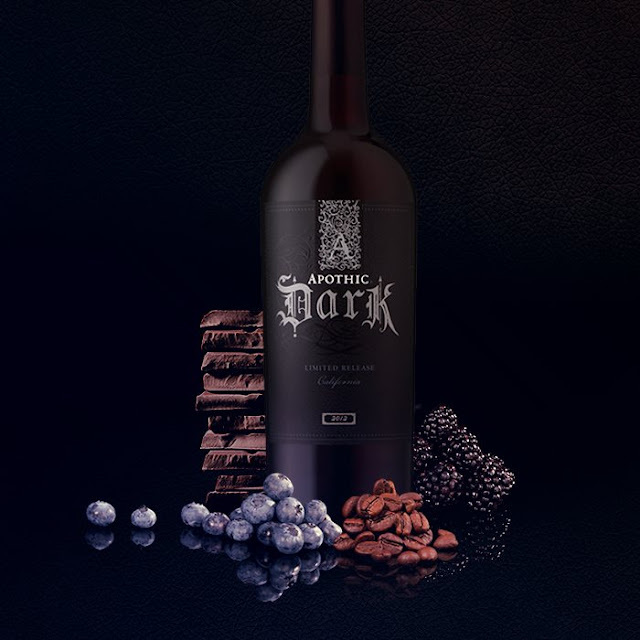 On top of the red and white, I like to end the night with Apothic Dark – the real treat to satisfy a fun evening. Infused with some of my favorite fruits, blueberry and blackberry, and opulent coffee and dark chocolate notes, it’s a wine of choice to serve with a slice of cake or a scoop gelato after dinner. The truth is, I love any good social wine that could bring friends together to have a good time. And now I dare you to invite me, the fun one, next time at one of your parties. Autumn is a busy time of year for the fashion industry. As I’m packing again for fashion weeks in September, I never forget to show my support for fellow Canadian talents back home. Promoting Artist Refining Kulture (PARK)’s annual elevated Canadian fashion designers showcase – PARKluxe – is one of the Canadian fashion events I would take time off from my busy schedule to attend. The existence of PARKluxe has given a platform to more established Canadian fashion designers from the Prairie Provinces and west coast to promote their work. Not until we could find a way of support to unify Canada’s rather segmented fashion industry, I do believe currently PARK’s initiative could shed some light to fashion talents that are not from Toronto or Montreal, where majority of the focus is concentrated. The upcoming PARKluxe will be held on October 1st 2016 at the newly built Studio Bell National Music Centre. So far we know that this season will feature collections from both newcomer and returning labels, including Okakie, Paul Hardy, Lauren Bagliore, Malorie Urbanovitch, Year Of The Ram, and Atelier By Ensemble Style. As like other PARK fashion shows, guests will find the opportunity to discover other local Canadian fashion brands and perhaps do a little pre-show shopping at the PARK Pop-Up Shops. This year at PARKluxe 2016, a Platinum VIP tickets are available for purchase, an upgrade from VIP Tier I that includes exclusive intimate pre-show champagne tasting with food and music pairings. You can access to tickets information at http://www.ourparkonline.com/events/parkluxe/calgary/2016/. Just before PARKluxe, for the first time on September 28th 2016, The Canadian Arts & Fashion Awards (CAFA) from Toronto will be partnering with PARK to host FASHION CONNECTS event at the Fairmont Palliser. This event is an industry evening connecting fashion designers, influencers, retailers and media. It’s great to see when Canadian organizations from different regions of Canada are joining forces to make connections to support the Canadian fashion industry. If you have nothing on your calendar yet on October 1st, be sure to join me and say hi at PARKluxe. Looking forward to see everyone.